If Lisbon were a guest at a house party, it wouldn’t be in the limelight. And that’s exactly what I adore about this city. Picture yourself at this house party. Small groups of four or five congregate around bowls of peanuts and glasses of wine. Paris is delicately holding a champagne flute, batting her eyelashes at you while singing praises to the Eiffel Tower, to picnics by the Seine, to La Vie en Rose. Rome’s the life of the party, Ciaa bella! as it flexes its bronze muscles and smiles, inviting you for a caffè and a swim in the Trevi Fountain. Venice won’t be outdone and seduces you with promises of a gondola ride under the full moon to the music of a violin. Santorini on the other hand invites you to join at the bar, where it’s taking shots of Ouzo with a young, tanned party crowd. And Lisbon? Lisbon is the mystery character dressed in black. Lisbon is understated and enigmatic. The less-is-more type that leaves you wondering long after the party is over. And for this reason, Lisbon hidden food treasures will steal your heart. In its reserved demeanor and restrained elegance, Lisbon epitomizes romance. The city isn’t an obvious one. It invites you to explore in order to get to know it. In this piece, I offer up four great ways to get to know romantic Lisbon – beyond our guided Lisbon food and wine tours – and what better way to do so than by candlelit dinners? I leave you with a list of truly stellar restaurants in the Portuguese capital. Each is spectacular in unique ways, and each shares the unassuming, romantic spirit that’ll have you falling in love with Lisbon, much like their wine shops. You might walk right by this gem of a restaurant and not notice. Clube de Jornalistas is nestled in the quiet residential neighbourhood of Lapa in an 18th century building. The restaurant’s unassuming green door won’t divulge much to the unaware passer-by, and that’s part of the restaurant’s charm. Clube de Jornalistas is refined yet low-key, the perfect place for a laid-back candlelit dinner. As you walk into the restaurant, you’ll be greeted by an extremely pleasant host who’ll hand you a glass of Portuguese Espumante in a friendly welcome. Formerly a single-family mansion turned schoolhouse turned restaurant, Clube de Jornalistas has several spaces where its guests can dine. Each has a different décor and ambiance, in all cases tasteful. The best seats in the house are outdoors in the restaurant’s courtyard garden, where you can dine under leafy trees and surrounded by flowers. Enjoy the creative menu of Portuguese-inspired food with a twist. (I’m a fan of the fennel and radish salad with bacon, and the rosemary octopus with sweet potato main is divine.) Fun fact: Clube de Jornalistas’ Brazilian chef Ivan Fernandes was a childhood music prodigy who played the trumpet in a symphony orchestra from the age of 15! Open Monday through Saturday for lunch and dinner; dinner for 2 approx. €60. O Insolito is where you go for Lisbon cool. 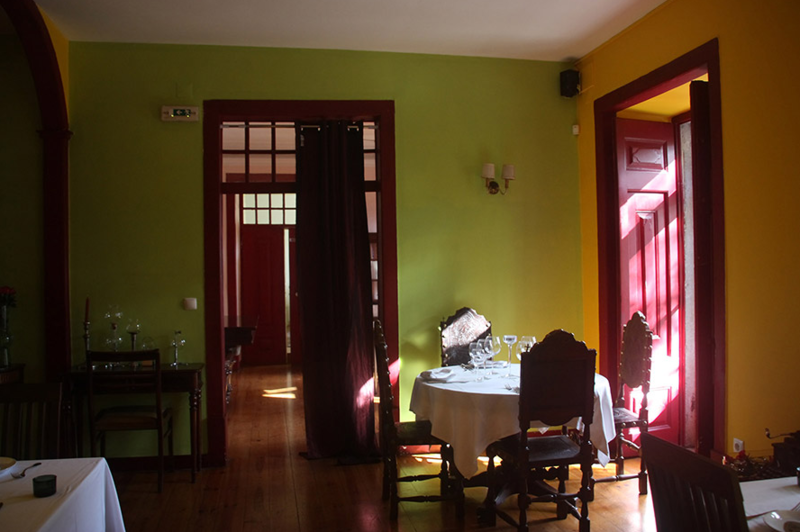 This Principe Real restaurant shares a building with an uber-hip hostel, but nothing feels budget about dining here. You’ll walk into the reception area and take an old, iron-gated elevator large enough for 3, maybe 4, to the top floor. You’ll love the bohemian, artsy feel up there, where you’ll take in a luxurious view over Lisbon in the company of a chic crowd. If at Insolito around sunset, watch the city’s sky turn from blue to pink to purple. Ask for a table at Insolito’s outdoor terrace, which is covered on colder evenings, allowing for year-round use. Why not make time for a pre-dinner drink at the bar for one of the restaurant’s signature cocktails, like the Insolito Gimlet or the 10 O’Clock Tea? Happy hour to the background of laid-back tunes should whet your appetite for dinner, where you’ll experience Insolito’s modern menu inspired by Portugal’s products and culinary tradition. My favorite dishes tend to come from the daily specials, which rotate depending on season and availability. My first time at Insolito, I ordered a delicious Azorean tuna that I to this day have not forgotten! Open Tuesday through Saturday for dinner; dinner for 2 approx. €60. 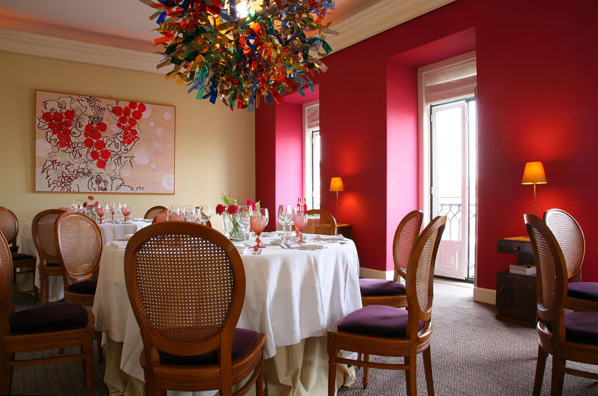 This elegant Chiado restaurant is as much about the food as it is about the ambiance. Formerly a discotheque frequented by the likes of French musical legend Charles Aznavour, Tagide is glamorous. While unassuming from the outside, the interior is gorgeously decorated with 18th century Portuguese tile panels of blue and white, offset by delicate chandeliers glistening from the ceiling. Tagide sits on a hill, perched over one of Chiado’s most beautiful panoramic views of the city. Ask for a table by the window and enjoy a special meal graced by Lisbon’s waterfront and historic nieghborhoods sparkling in the background. I particularly like Tagide’s view of Lisbon’s Castelo de São Jorge at night, when the fortified castle is lit in a soft whitish light. Tagide is headed by well-known Portuguese chef Nuno Diniz, who has recently joined from the popular restaurant in Lisbon’s York House Hotel. 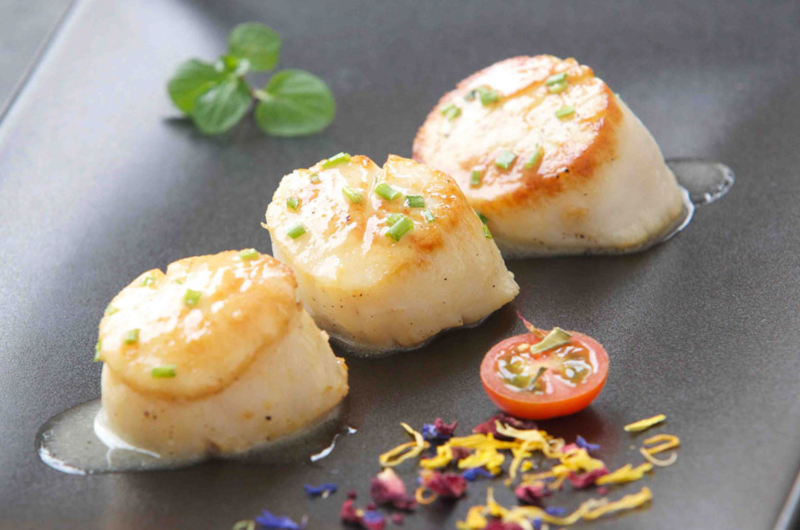 Tagide’s menu is an elegant spin on traditional Portuguese cuisine, often with an international flare. I’m a fan of their signature cod fish dish, which features a chickpea puree and turnip greens. Open Monday through Saturday for lunch and dinner; dinner for 2 approx. €80. Dining at Travessa will leave you with the distinct sense of being somewhere unspeakably special. 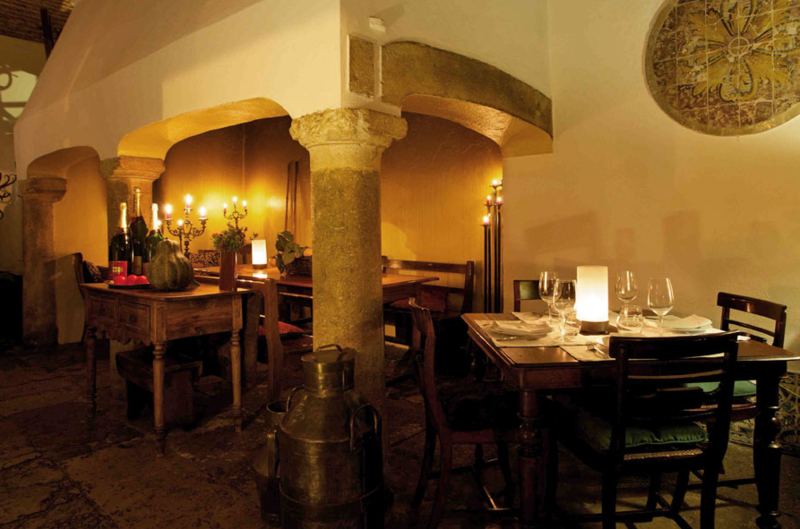 This Madragoa restaurant is located within the walls of a former convent, and its owners have paid attention to every detail in order to create a truly unique atmosphere for its guests. 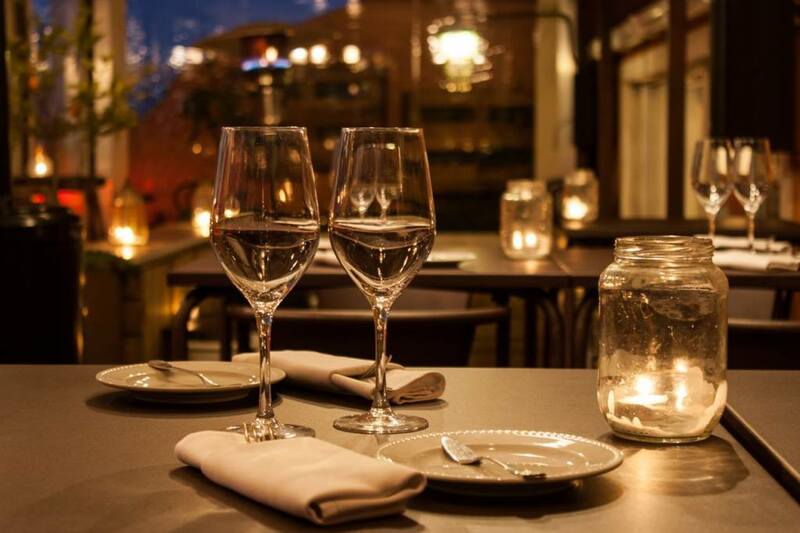 Make the most of Lisbon’s gorgeous breezy evenings and ask for a table outdoors, where you will dine by candlelight under the arches of Travessa’s courtyard. On colder nights, eating indoors is just as pleasant, where you’ll be surrounded by elegant wooden furniture and tasteful European paintings. Arrive at Travessa with an appetite. This restaurant’s hallmark is an 8-course round of appetizers – 4 hot and 4 cold, served one at a time ‘rodizio’ style. While the appetizers tend to change at Travessa, which works primarily with seasonal food and local products, the restaurant is well-known for a few crowd pleasers, like the succulent Portuguese black pork and the scrambled eggs with wild mushrooms (served straight from a cast-iron pan). Make sure to save room for your main meal, as Travessa’s menu boasts outstanding European fare by rockstar chef Nuno Coelho, who formerly worked a Michelin-starred Belcanto in Lisbon. The restaurant’s two owners are Belgian and Portuguese, which explains Travessa’s Belgian-Portuguese twist on sophisticated continental fare. Open Monday through Sunday for dinner only; dinner for 2 approx. €100. I hope these snippets of some of my favorite romantic restaurants in Lisbon have whet your appetite for more. There is so much to discover in romantic Lisbon! Let us plan a customized itinerary through Lisbon just for you.